Art competitions are an enriching and invaluable experience for every artist. They can teach you to hone your skills and provide the helpful practice of working and seeing many other artists at work. 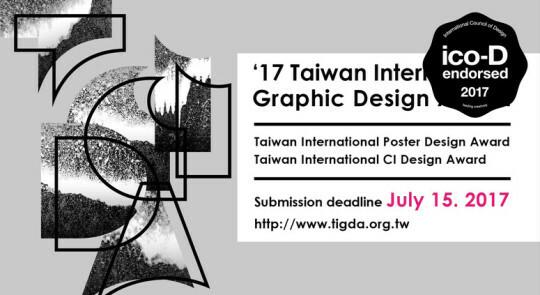 Each year there are plenty of graphic design, illustration and photography competitions taking place all over the world. No matter if you are a well-established artist or a student trying to earn more recognition for your work, entering such competitions will definitely fortify your trust in your skills. And of course, winning one will give you an acknowledgment you crave for as an artist. A tour around the world’s best contemporary illustration for children with exhibition of selected works held in Lisbon, Portugal. Approximately 1400 illustrators from 61 countries send their artwork to the competition. The goal of ILUSTRARTE is to create a space for meeting and discussing the best international illustration for children, while putting Portugal on the route of the major international events in this area. ILUSTRARTE is open to illustrators and designers from all over the world. Each participant should register online at the ILUSTRARTE website, www.ilustrate.net , and upload the files of 3 illustrations, unpublished or published after the 1st of January 2015, not later than the 31st of August 2017. The 3 illustrations must be based on the same theme. Theme, technique and medium are at the discretion of the artist. The prize of 5000 Euro (approx. 5,590 USD) will be awarded on the opening of the exhibition, on February 2018. The exhibition of the selected illustrations will run from February to April 2018 at Museum of Electricity in Lisbon. iJungle 2017 Illustration Awards is a competition to celebrate the world´s art of illustration. It is opened to illustration works from any country in the world. Entries first created or published from 2014 through 2016 are eligible. There is a limit of 5 works that each illustrator can submit for all categories, except Video game Art, that has up to 10 works. Up to 20 Merit Awards for each category (Up to 140 Merit Awards). The competition is open to designers from all regions and countries. There will be initially a Preliminary Selection conducted via electronic platform (contestants do not need to submit physical sketch boards). For the Final Selection instead judging will be performed by reviewing the actual works. There is no limit to the quantity of works submit. You can submit each category and also register as individual and as groups. Entries must be original creations of the contestants completed after June 30, 2015. There will be ten different Awards, plus Judge Panel Special Award. All award winners (except winners of medals) will receive an award certificate. Their works will be exhibited and collected in a special publication. Main Art Prize include £5,000 prize money for the winner, Group exhibition hosted by Aesthetica, Editorial coverage in Aesthetica Magazine, Publication in Future Now: 100 Contemporary Artists, £250 art supplies vouchers courtesy of Winsor & Newton and art books courtesy of Prestel. Entry fee: 24 GBP (approx. 30 USD) for one entry. You may submit up to two works in the same category per entry, unless you are submitting in the Video, Installation & Performance category, in which case you are limited to one work per entry. Young Guns recognizes the vanguard of creative professionals 30 years of age and under. Founded in 1996, it has grown to become one of the most coveted awards for young creatives around the globe. For many, being named a Young Guns winner is a sure sign of a skyrocketing career, as well as a source of validation for all of the stressful days and sleepless nights that have come with early successes. 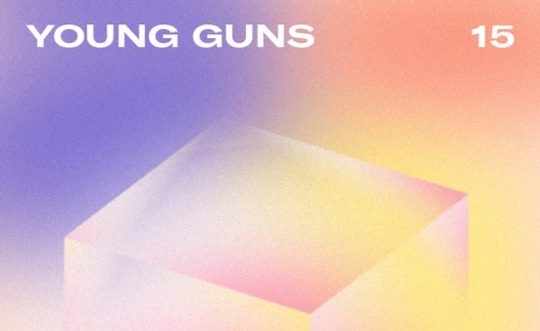 Young Guns is an international competition open to all who qualify. Entrants must be professionals working in creative field(s) including but not limited to: graphic design, photography, illustration, advertising, art direction, environmental design, film, animation, motion graphics, interactive design, typography, architecture, copywriting, product design, package design, fashion design, furniture design, interior design, sound design or industrial design. Young Guns entrants must submit 6 professional and personal projects, with a minimum of three projects being professional, published work. The Awards ceremony will take place in New York City in November. Winners will be honored at this event and presented with the coveted Young Guns Cube, a trophy that is redesigned each year, making each class of Young Guns winners truly unique. Do you consider entering one of these after this blog post? If you do, we definitely stand by your side and keep our fingers crossed for you. GOOD LUCK!